I’ve been studying more than I want to lately, but I’ve been taking occasional baking-breaks ;). 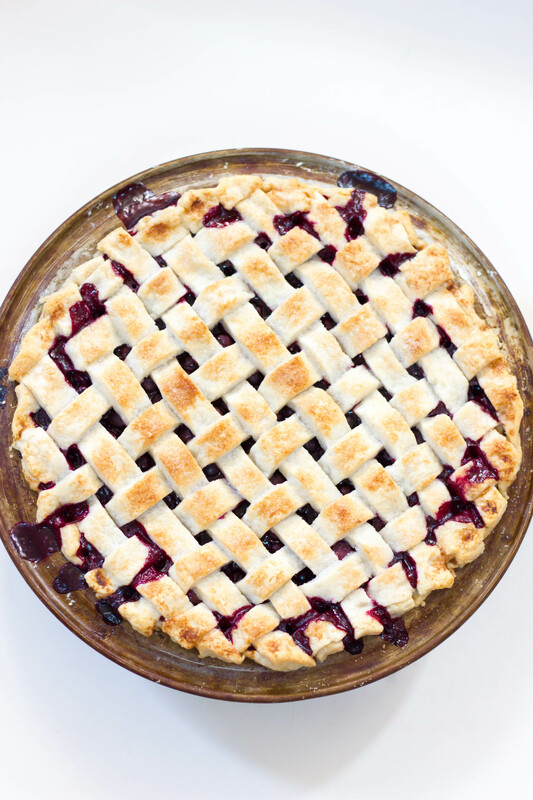 One morning, I picked some fresh blueberries and then baked them into this classic, double-crusted blueberry pie. It was so good y’all – lots of blueberries, just enough sugar, and a hint of cinnamon. 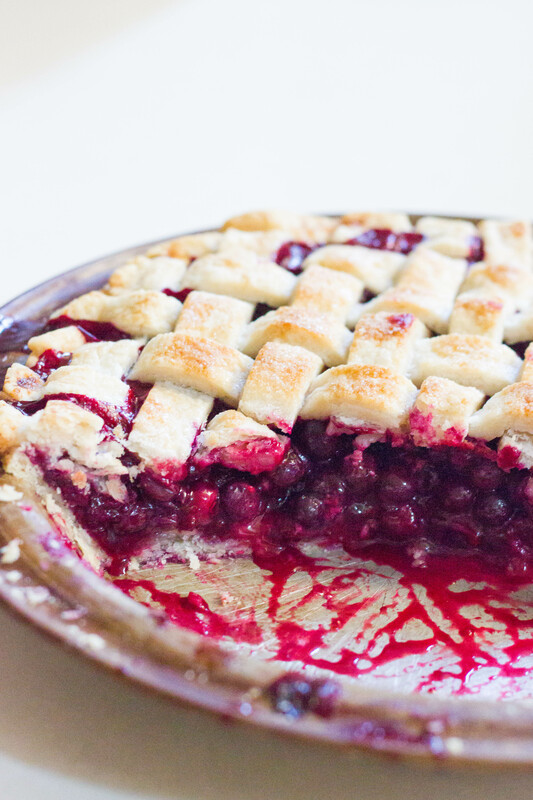 I love pie crust, so obviously I love double crusted pies #morecrust. 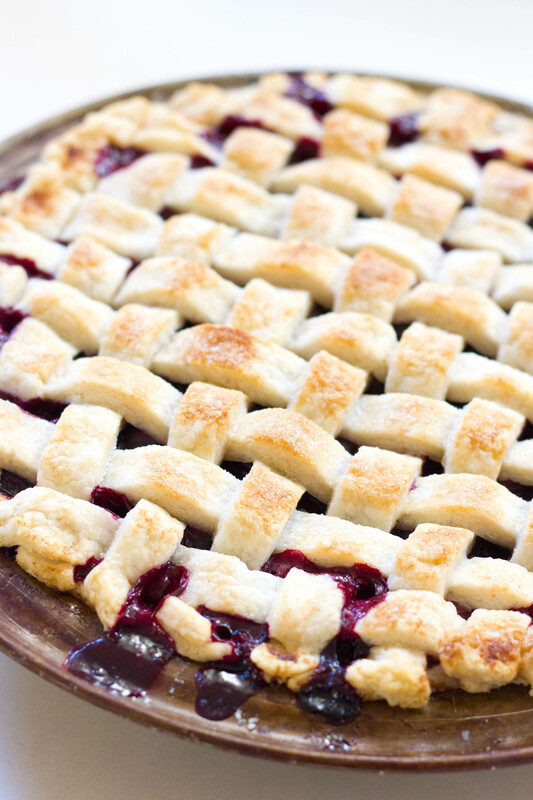 I chose to lace my top crust into a lattice – mainly just because it’s prettier – but that’s definitely not a requirement. It will still taste delicious if you top it with a solid top crust. Enjoy! 2. 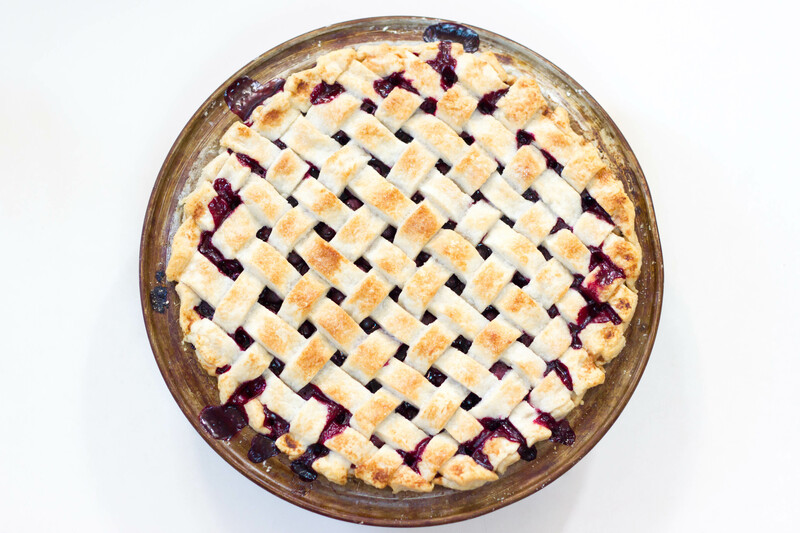 In large bowl, stir together blueberries, cinnamon, cornstarch, and lemon juice. 3. Place pie crust in 9 inch pie plate. Pour in blueberry mixture. 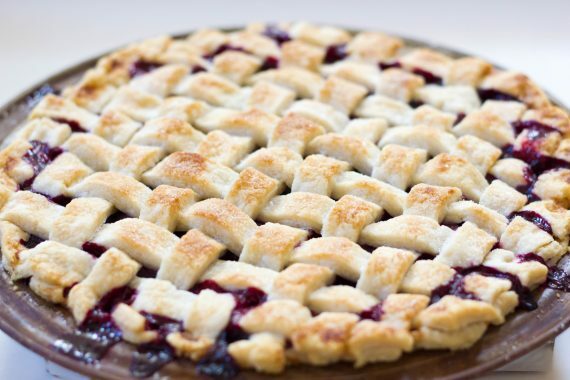 Top with remaining crust – either as a solid top crust or as a lattice crust. Seal edges. Brush with melted butter and sprinkle with remaining sugar. 4. Bake in preheated oven for 10 minutes. Reduce heat to 350 and continue to bake for 45-50 minutes or until top is golden brown and filling is bubbly. Cool before serving.